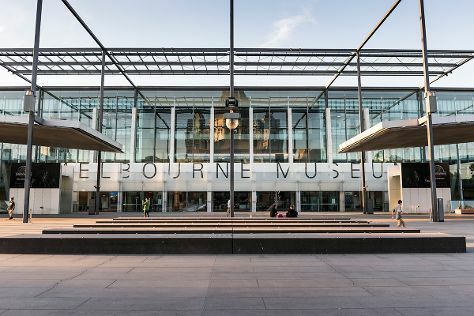 You'll explore and learn at Melbourne Museum and National Gallery of Victoria. Do some cultural sightseeing at Shrine of Remembrance and Melbourne Central. You'll find plenty of places to visit near Melbourne: Sovereign Hill (in Ballarat) and Werribee Open Range Zoo (in Werribee). There's lots more to do: enjoy the sand and surf at St. Kilda Beach, see the interesting displays at The Ian Potter Centre: NGV Australia, take a memorable tour with Tours, and learn about wildlife with up-close encounters at Melbourne Zoo. To find maps, reviews, where to stay, and tourist information, use the Melbourne trip maker tool . If you are flying in from Singapore, the closest major airport is Melbourne International Airport. November in Melbourne sees daily highs of 26°C and lows of 11°C at night. Cap off your sightseeing on the 6th (Fri) early enough to travel back home.